"I gotta a movie in computer in a form of clip. Now I wanna join these clips to make the full movie into a single MP4 file and put it to my tablet. Any good software?" Why is a video joiner needed? The reasons vary: to make a compilation of videos, to bundle full episodes of TV series together, to assemble a movie with separated parts and so on. 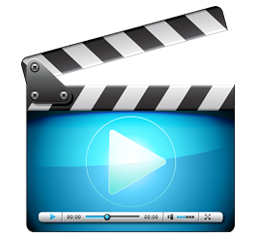 Capable video joiner software grants an efficient procedure to mix various video files into one. If you are unwilling to waste huge time and energy to hunt an appropriate application to merge videos from the crowded market, this article will lead you to free download the best video joiner for PC/Mac and give a thorough user guide. 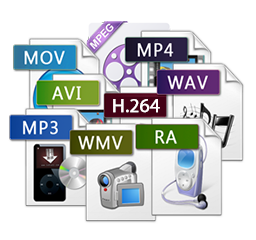 Join videos in MP4, MKV, M2TS, AVI, MOV, FLV etc, into a single file in H.264 for sharing online or playing on PC/Mac/devices smoothly. Some users try to Google video joiner but every similar result makes them confused. Some others are recommended with popular video editors (for example Windows Movie Maker, iMovie) yet fail to merge certain videos due to limits of input/output supported formats. Need an all-rounded video joiner? 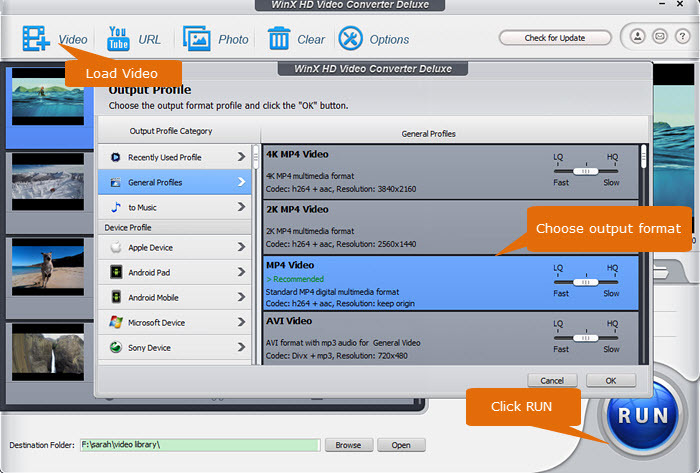 WinX HD Video Converter Deluxe arrives to help you combine any videos with no effort at all. Built-in 370+ video and audio codec, this WinX video joiner lets you import and join SD, HD and 4K/8K UHD videos in MP4, MKV, M2TS, AVI, WMV, MOV, FLV, MPEG etc, as well as export the merged single file to mainstream video formats or fashionable devices (iPhone, iPad, Android, Windows Phone…) with possible highest quality. In addition, you can edit every video by trimming unwanted parts, split videos/movies, cropping black bars and then merge them for a better output effect. This best video joiner is available to free download on its official download page and third-party software download sites, like CNET, Softonic and more. You are suggested to get it from official site. Open the download page and click Download Now button (both Windows and Mac version are provided) to save the .exe/.dmg file to your computer. Note: Windows version of this WinX video joiner is compatible with Windows 10 and lower, while Mac version can be worked on Mac OS X Snow Leopard to newest Mojave. Step 1. Launch VideoProc and click Video button to access to the video manager. Click +Video button to import multiple videos which you want to join together into the program. Also, you can click +Video Folder button to import whold folder containing all wanted videos. Step 2. Move to the bottom of the vindow and click Toolbox tab. Select Merge option. (Optional). Apply settings if you need. • Adjust video order: Click up/down arrow to move up or move down the video. 1. Trim: If you just want to join special clips from several videos into a single file, this best video joiner enables you to trim video before merging. Click the edit icon next to the title of video. A smaller window appears. On the left panel, a mini player with a progress bar is presented. Move two green curcors or manually input certain hour:minute:second to set start/end time. 2. Set Resolution: A Resolution option is given on the right panel. There're several resolutions according to qualities of soure videos. Select one and click Done. 1. All videos will be joined as a MP4 file. If some input videos are in other formats, they will be transcoded to H.264 automatically. 2. The video title and resolution will be inherited from the first video. You can double click original title of the first video to rename. 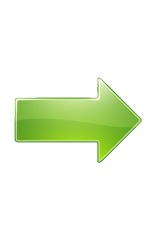 Click Browse button to define a new destination folder if necessary. At last, click RUN button to merge videos. What's more, VideoProc will automatically enable hardware acceleration (Intel/NVIDIA/AMD according to your graphic cards) to speed up video joining and keep high quality of the resulting file. More than a Video Joiner, VideoProc Can Do Much More for You! ▪ Free download movies, music videos, sports etc, from 300+ video-sharing sites, like YouTube, Facebook, Instagram, Vimeo, Dailymotion in a few clicks. ▪ Convert/compress HD/4K/8K videos to MP4, AVI, WMV, MOV, FLV, 3GP, iPhone, iPad, Android, Windows Phone, Xbox, PS3/4 while keeping crisp images and hi-fi audios. ▪ Offer a edit toolbox to cut/Crop/rotate/flip videos; denoise audios; deshake images; add effects/watermark/subtitle to videos; convert video to gif; extract frame from video, transfer 3D to 2D and so on. ▪ Record desktop/webcam for creating a tutorial, reaction, review videos in HD MP4 for online uploading. ▪ Take full advantage of level-3 hardware acceleration to speed up video encoding, decoing and processing while keeping nearly lossless quality.